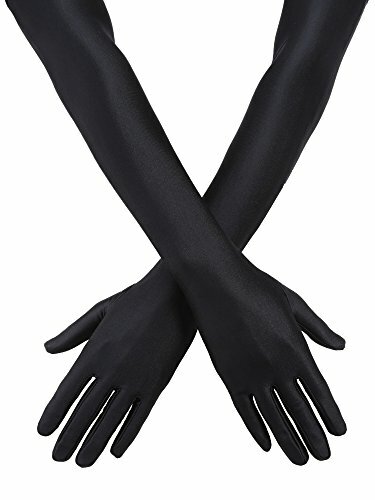 Comes with 3 pair long opera elbow length gloves, they are solid color, no complicated patterns, convenient for you to match clothes in various styles and colors. The length of these opera gloves are approximately 22 inches, these satin gloves are suitable for most women. Made of spandex stretch fabric, comfortable and easy to put on; Length, tight or loose depending on your arm circumference. The long party gloves are smooth and full of gloss, satin texture, not easy to wrinkle, very beautiful, keep you stay elegant all the time. Long satin opera gloves are suitable for many occasions, like ballet and dance costumes, opera performance, stage show, wedding, 1920s party, and soon.